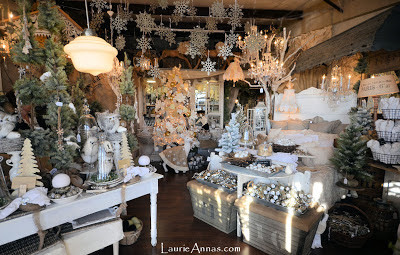 LaurieAnna's Vintage Home: A December to Remember! 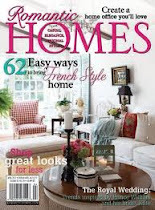 Our December show is going on record as our best ever, and all because of you---our amazing customers! 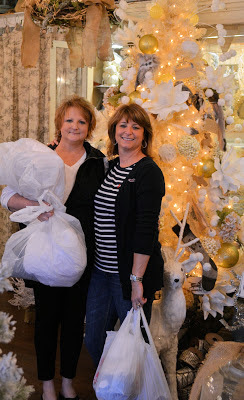 Long time customers Roxanne Spradlin and Shirley McCarty came in from Temple, Texas to pick up a few Christmas goodies, find some new home decor and, of course, find a few treasures for themselves. 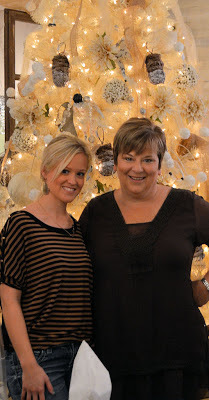 Roxanne and Shirley have followed us since our days at the Arbors, and we were thrilled to have them back with us! Ginger Maxey visited us all the way from Wichita, Kansas! She discovered our blog and set a personal goal to meet us in person. 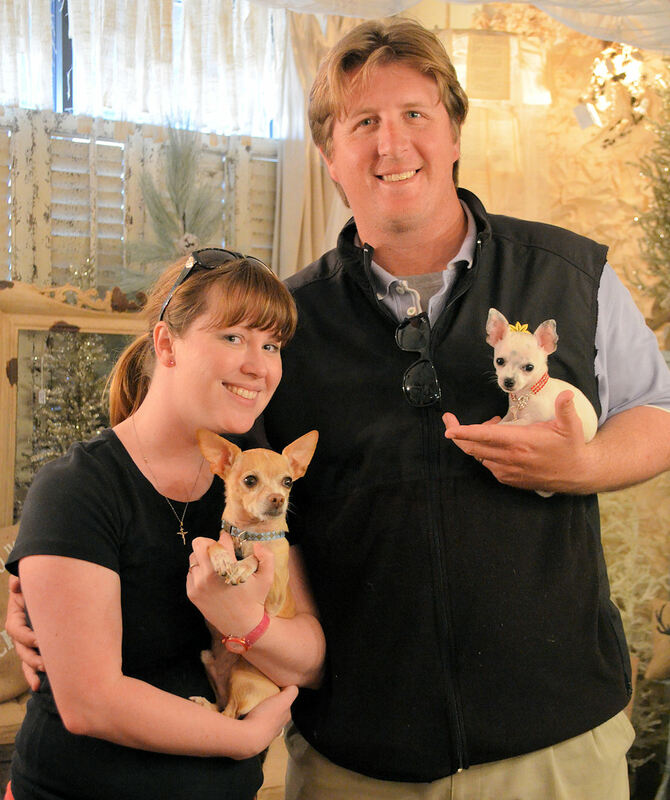 On vacation and headed to San Antonio, we were the first destination stop for Ginger and her husband. 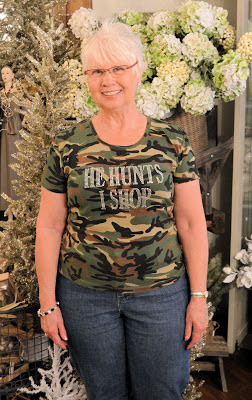 Her shirt says it all---"He hunts. I shop!" 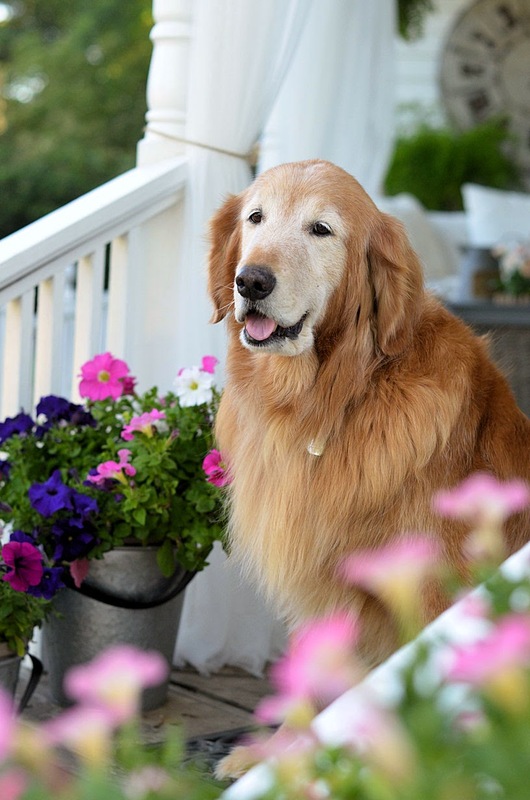 Thank you, Ginger, for making LaurieAnna's part of your vacation! 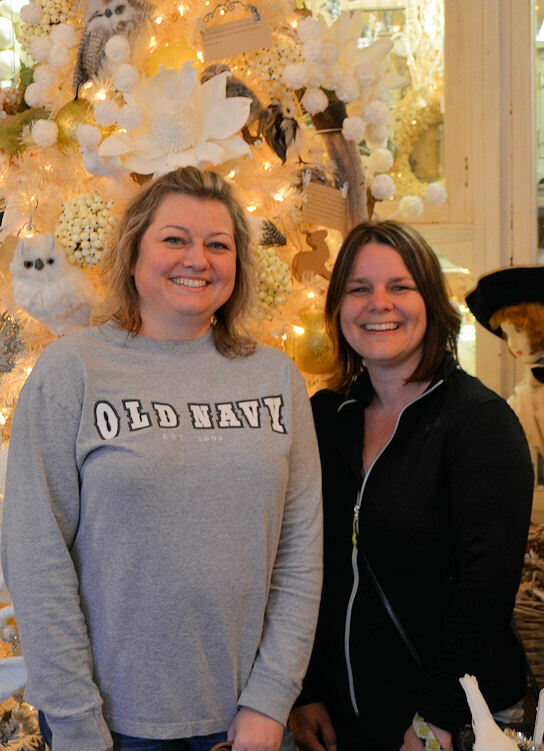 While searching online for different shops in Canton, Christina Bennett and Gloria Albertson discovered our Shoppe and Facebook page. We hope they enjoyed their first visit as much as we enjoyed having them, and we look forward to seeing them again at future shows! And ladies were not our only shoppers. Pat Kelley and grandson, Blake Jackson, joined us for some holiday shopping. Hailing from Houston and Austin respectively, Pat and Blake added to our Christmas cheer! 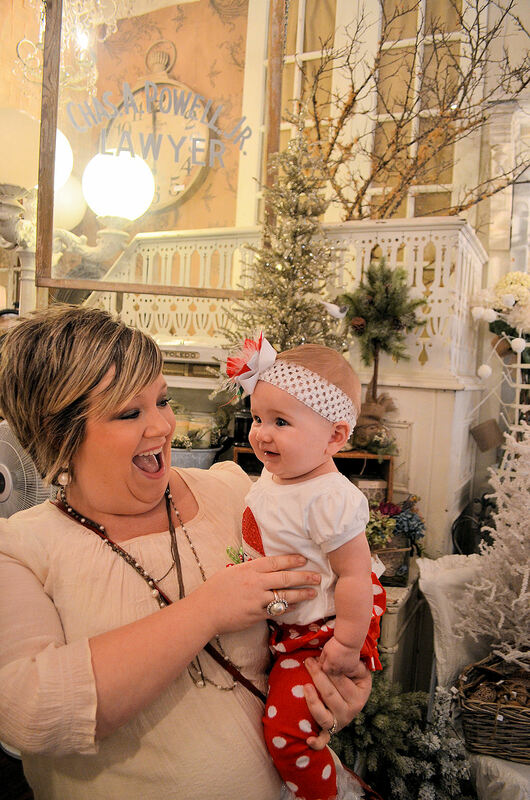 While Pat is a returning customer, this was Blake's first visit to LaurieAnna's. 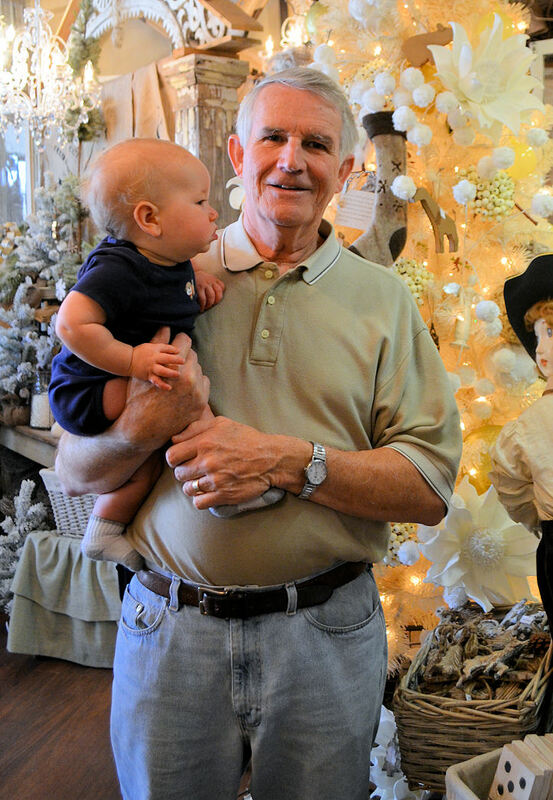 Blake is the 11th grandchild for Pat and his wife, and we look forward to meeting many more Kelley family members on future visits! 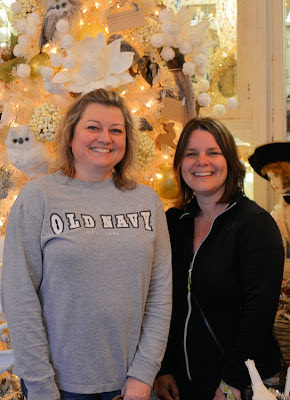 As they were leaving the flea market grounds and loading their car, Melissa Bienvenu and Jenny Mourad were approached by some visitors from Houston who asked them if they knew of a good place to eat. 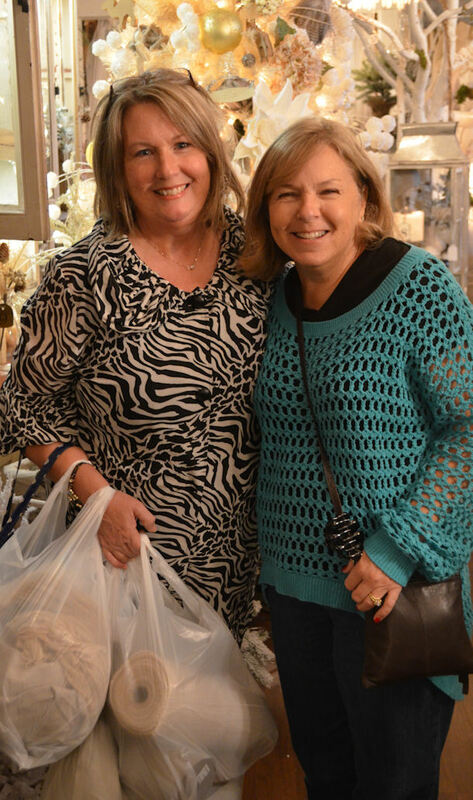 Melissa and Jenny were happy to make a restaurant recommendation in exchange for a shopping tip, and they were promptly referred to our Shoppe! 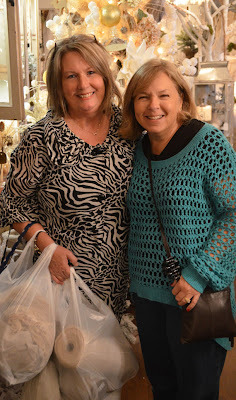 We were extremely flattered as these two delightful ladies shared their thoughts about their first visit to LaurieAnna's. 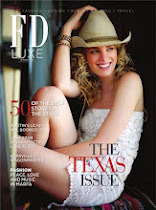 Phrases such as, "We are in awe", "You are going to be famous" , "Nothing like I've ever see!" "You should be in Manhattan, NY" made us feel so blessed. 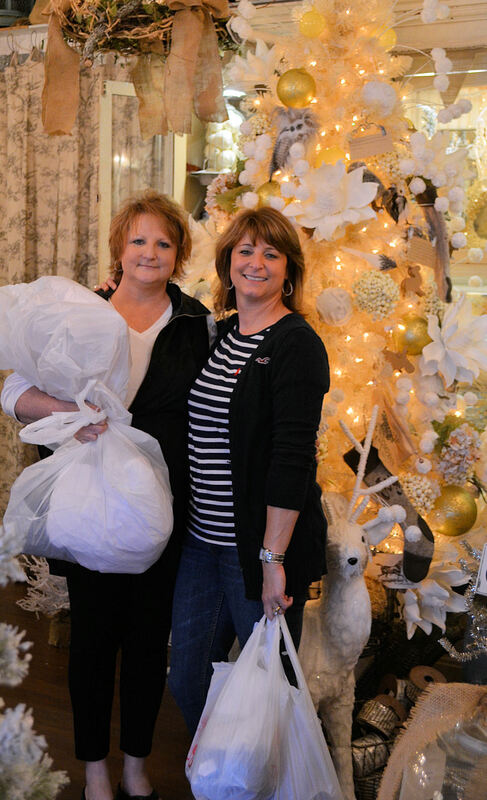 Thank you , Melissa and Jenny, for making our December even brighter. We can't wait to see you again! Loads of LaurieAnna shoppers in training were present, such as this cutie patootie, Laney Kate! We also discovered that our shoppers come in all shapes, sizes, and...species! We loved meeting Harley and Cookie, along with their humans, Brad and Melody Shaffer! Harley, Cookie, Brad, and Melody visited us all the way from New Orleans. We are so glad they dropped in! And last, but not least, no show would be complete without a visit from 1 and 2 (aka Carla and Amy)! Looks like they did some serious shopping---again! 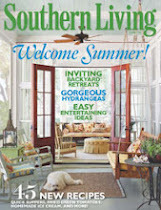 I so wish there would have been enough time for me to visit with every customer that stopped by last week. All of you---each and every one---are so special to us. We are truly blessed that you are part of our extended LaurieAnna's family. Thank you for making this a December to remember! One day I will get to your store, all the way from Florida. 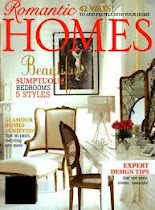 Until then, thanks for posting so many pretty pictures for me to drool over :) I can't wait to see your bedroom makeover. 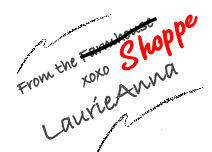 Laurie Anna, I just had to encourage you one more time on the beautiful shoppe you have created. You and all the great people that surround you. Everything was wonderful and we had a wonderful time! 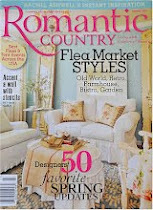 I'm heading to my blog right now to put you on my blog roll! Thanks again! Thank you for sharing, Christmas is my fav time of year. Laurie Anna, we were there. :) We just moved back to Texas back in June. I've been to your shoppe for the last 3 months. Took my sister in law in December, it was her first time there and she loved it too. Wish I could have been there when Roxanne was there. 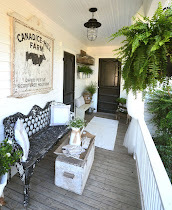 Love her blog too! 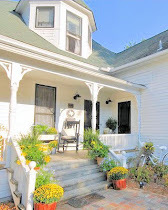 Will you post more of your farmhouse pictures? 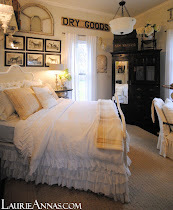 I would love to see the bedroom makeover as well. Your style is wonderful and I can't get enough of it.